Health and Human Services Secretary Alex Azar proposed a rule designed to lower drug prices by requiring drug companies to disclose medicine prices in advertisements Monday. The proposed rule may not be finalized for months. If it goes into effect, pharmaceutical companies would have to “state the list price of a 30-day supply of any drug that is covered through Medicare and Medicaid and costs at least $35 a month” in ads, reported The Washington Post. 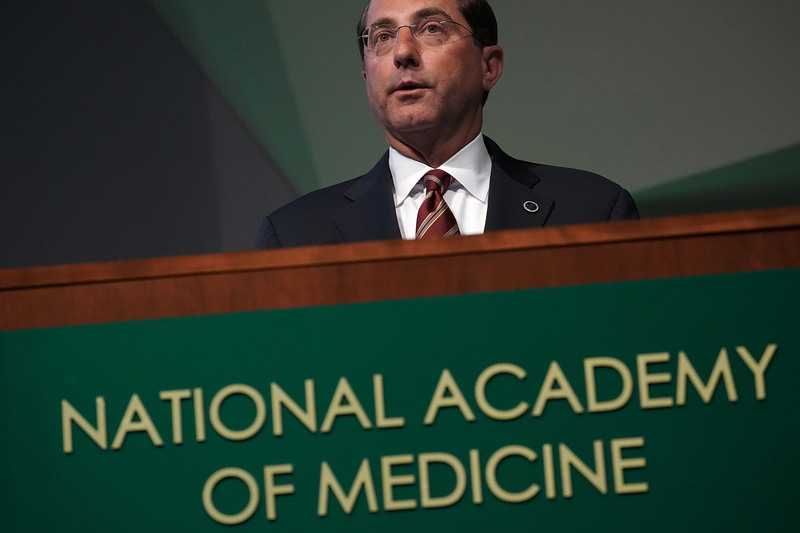 “Sometimes it takes government to make the first move, to disrupt a broken system, and to lay down new rules of the road,” Azar said while introducing the bill in a speech before the National Academy of Medicine, according to WaPo. Drug company lobbying group PhRMA preempted Azar’s announcement with an announcement of its own: “hours before” Azar’s speech, PhRMA announced that it will voluntarily “direct consumers to company websites with pricing information,” according to WaPo. The change will go into effect April 15, 2019, reported CNBC. Some of PhRMA’s biggest members include AstraZeneca, Celgene and Eli Lilly. The rule represents the latest proposal from the Trump administration as it tries to lower the cost of prescription drugs for Americans. President Donald Trump signed the Patient Right to Know Drug Prices Act, a bipartisan law that ends insurance companies’ pharmacist gag clauses in an effort to lower drug prices, Wednesday.